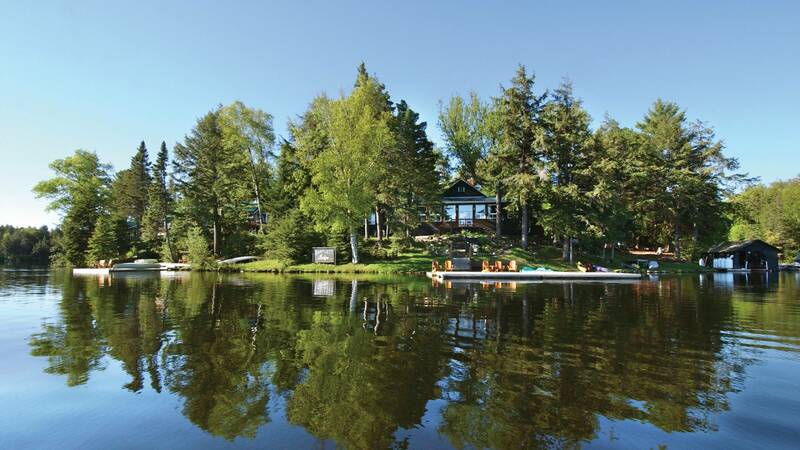 Bartlett Lodge is on Algonquin Park’s Cache Lake, east of Huntsville and the Muskoka Lakes. 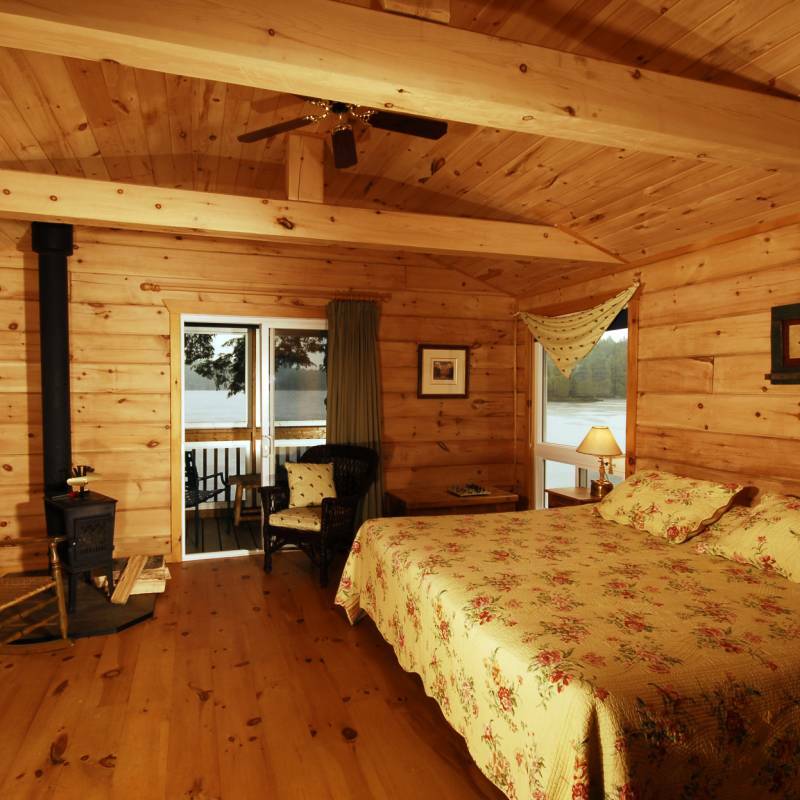 It is a luxurious log cabin waterfront cottage resort perfect for both family holidays and romantic getaways. Access is only by boat giving a wonderful “Robinson Crusoe castaway” feel. 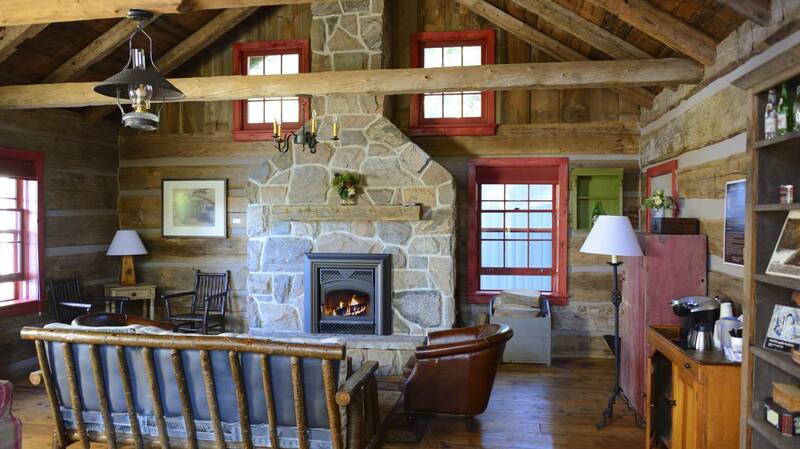 Enjoy the evening sounds of the Algonquin wilderness as you relax in the screened porch of your cabin after another sumptuous Bartlett dinner. 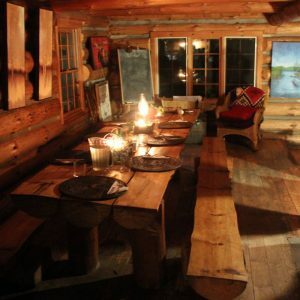 Each cabin includes the use of a canoe. 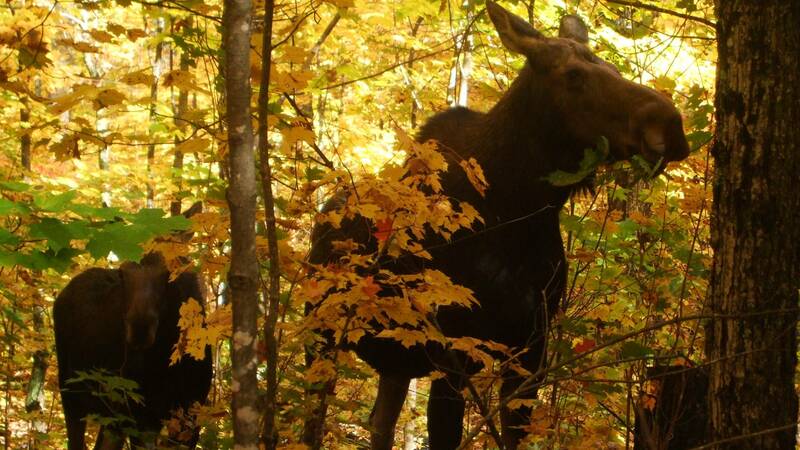 Kayaks, paddleboats and mountain bikes are also available for you to use. 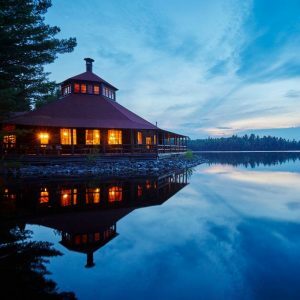 From cozy single bedroom cabins to a showpiece three bedroom cottage and some splendid and very comfortable permanent tents, the Lodge provides great comfort in a fairly remote (yet easily accessible) setting amid the towering trees. 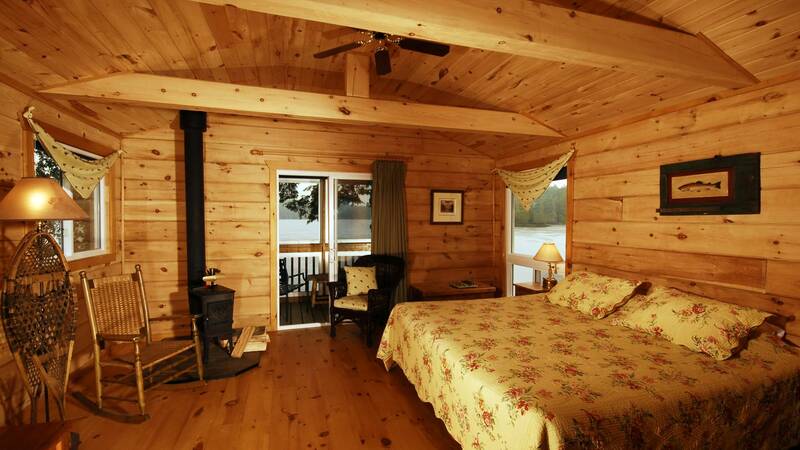 The cabins and tents have King size beds that may be split into single beds, bar fridge and in-room coffee. Privacy, good food and that Castaway feel.